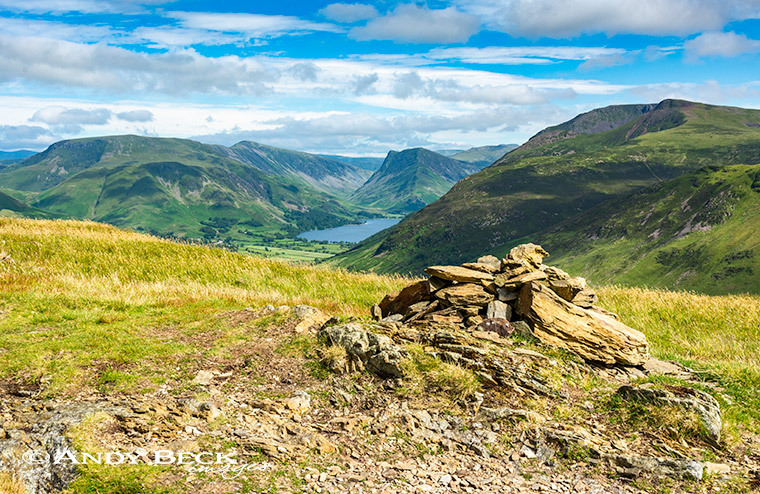 Summary: Hen Comb is a fell which practically stands alone in the Loweswater area of the Lake District. 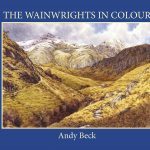 It was always considered for inclusion in the Pictorial Guides by Wainwright from the start. Routes to the fell summit can encounter areas of wet ground either via Mosedale or less so over Whiteoak Moss. A direct ascent from Loweswater village can involve a crossing of Mosedale Beck and as this river has no footbridge crossing it can be a challenge. Views from the summit are best to the east and south. Topographical details: Wainwright indicated the height as 1661′ which was the measured height on his O.S. maps. Resurveying has found the height to be 1670′ 509m. The Wainwright summit is not in doubt at GR: NY13216 18117 and is marked by a small rough cairn (seen below). Points of interest: Sadly Hen Comb lacks in points of interest as the fell is mostly a elongated dome of a hill covered in most parts by short grass. There is a Pit Circle near Floutern Cap (see top photo) but this is very grown over and is easily missed. Two mine levels on the eastern slopes are not worthy of a detour. 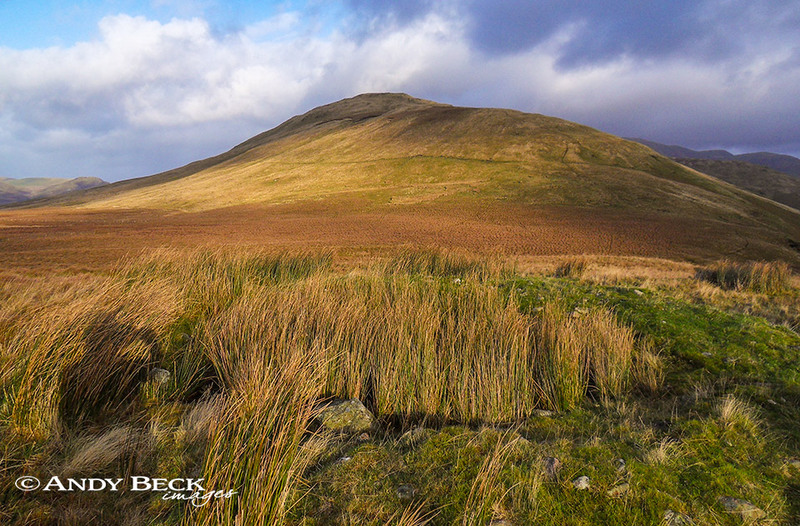 Adjoining Fells: Little Dodd to the north. 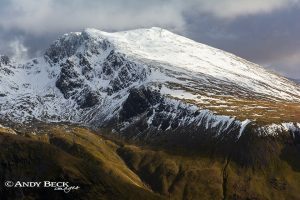 Other fells nearby such as Mellbreak and Gavel Fell are not linked directly by ridges but with some route planning may be combined with a visit to Hen Comb. Nearest Facilities: Car Parking at Loweswater at either Maggie’s Bridge of Church bridge (limited spaces) (free). The fell can also be reached from the west with limited parking in a lay-by 150m south east of Whins Farm. Food and accomodation in Loweswater at The Kirkstile Inn. Star rating: (1.5 / 5) With access to the fell being made awkward over boggy ground and little in the way of interest Hen Comb does not get a very high rating. The view of the Buttermere valley is a bonus.